Kerala motor vehicle department all set to watch vehicles through GPS(Global Positioning System). 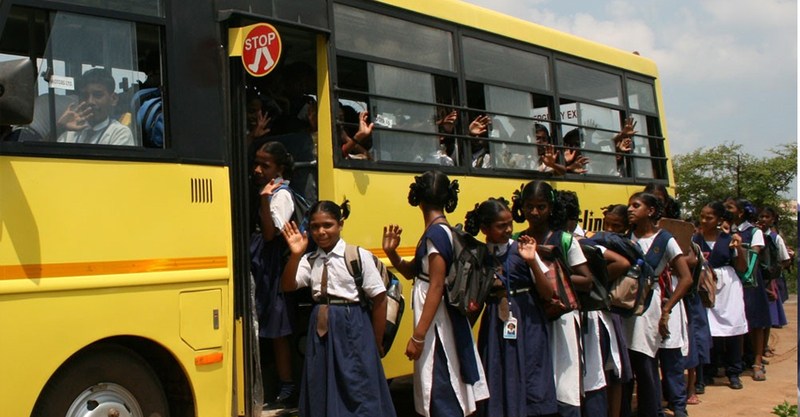 As the first step, the government has decided to install the GPS in school buses. Observation through GPS will be started from July. Primary works are completed including software installation. Motor vehicle department is planning to observe all the vehicles through mini control room of all district and centralized control room In department’s capital in Thiruvananthapuram. Speed, root, and breaking the rules can be observed through this. If accident happened the message will be send to enforcement vehicle of Motor vehicle department, nearest police station and control room . There are system to observe the behavior of the driver also. An alarm will be set up to Observe the speed limit.If the driver cross the speed limit, a message will be send to the owner. The owner can ask to reduce the speed. If this didn’t happen, the message will be send to RTO and control room. There will be four emergency buttons in buses and two buttons in cars. Passengers can use these buttons in the case of emergency. So that message will be send to the authority. Vehicle Location tracking will be installed through units. The expenditure should be carried by the owner. The list of VLT brands will be published by the department. Road map and navigation system will be included in this. Buses, trucks, contract vehicles, Taxies also will be bringing under this system. Such system is installing for the first time in India.